Taking on a healthy lifestyle can be a great jump-off point to achieve financial security. It should be part of a holistic approach to help you achieve your financial goals. Why is it a challenge to stay healthy? The truth is that staying healthy is easier said than done. There are even times when people do know what they need to do but cannot bring themselves into doing it. There are a number of reasons for this such as having too many fast food options. Yes, they are convenient and at times, cheap. However, they are not the most nutritious option for your needs. They can satisfy your present hunger but that is just about it. You will feel hungry again. Then the same routine will happen all over again and you will see yourself gaining weight. Another culprit is the amount of sugar you take in on a daily basis. From sodas to chocolates and sometimes even the food that you eat. When you are trying to live a healthier lifestyle, it also does not help if you live an inactive lifestyle. Being content with just sitting around the house that whole day or not even standing up from your chair in the office can be bad for you. Corporate Wellness even shares that sitting is now considered as the new smoking. How does it affect financial security? Now that you understand some of the reasons why it is a challenge to live a healthy lifestyle, here some of the reasons why you need to make sure that you stay healthy for your financial wellness as well. One of the main reasons why you need to be healthy is so you can take advantage of opportunities that come your way. One perfect example is taking on a second job which revolves around your hobby or passion. That would be a great way to earn some extra cash. Not everyone can say that they love what they are doing and earning from it as well. However, if you are not fit to take on a second job regardless if you love what you are going to do, you might be setting yourself up for more problems. Take for example getting a job as a freelance photographer since you love photography. You start getting clients left an right but since you are not healthy, you start getting sick and missing crucial appointments. The last thing you need is to be a no-show for a wedding you confirmed to cover. Financial security can come even from side gigs but you need to prepare your body for it. When you start to gain weight, you might not realize it but it can also affect your finances. One of them is having to slowly overhaul your wardrobe choices. Soon, you will have clothes that don’t fit anymore but you never really find the reason to dispose of them. You believe that you will still get back to your old weight and be able to wear your old clothes again. The heavier you become, you are also more susceptible to some lifestyle sickness. This means you will be spending more for doctor visits and check-ups. Not only that, you might have to start taking medication to manage your current health. Not only will this get in the way of trying to reach financial security, but this can also add to your stress level. There are some people who are not mentally tough to handle adversities in life. That is why once problems start piling up, they easily lose hope. It can easily be triggered by the smallest problem like not being able to fit in their jeans or being forced to pay for two when booking a plane ticket. These instances can make people question why they ended up in that place and begin to entertain negative thoughts and mindset in their head. Now that you have in idea how financial security can come from living a healthy life, here are a few things to help you get started on that journey. It all starts with you as you commit to a new lifestyle change. You need to convince yourself that this change is something you need and make a commitment to see it through. If you do it without making a commitment, you might not have the energy to see it through until you see some results. One other thing you have to aim for is improvement and not perfection. This is because aiming for perfection might lead to disappointment when you do not reach it. Always aim for improvement because it will always help you grow. Even if you only aim to improve by 1% every day, you could see some amazing results day after day. It is better to take it slow and steady rather than get bored and tire out easily. You might think that trying to reach financial security means you should not spend a dime on anything and save as much as you can. However, this is simply not the case. You need to spend to earn money. That is a fact of life you have to understand. You cannot reap and enjoy the fruits when you do not sow and plant at the beginning. The same is true when you want to live a healthier life. There will be times when you have to spend to make sure you live healthy. You can start with buying the right kinds of food to fuel your body. One thing you need to remember is that when you do not eat healthy, you have the tendency to eat more of it simply because you are not full. 6ABC News shares that 85 million American adults eat fast food meals every day. It is also possible that you spend in pursuing an exercise of your choice. If you feel you need it, you can also get a club membership to get access to a gym and many other exercise activities. 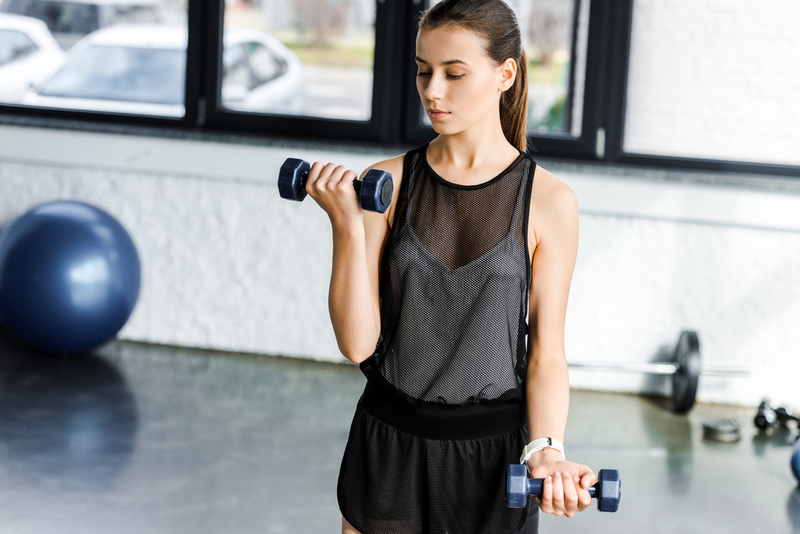 Spending on these places can give you the freedom to choose from lifting weights, swimming, or playing a sport that you love to do. One of the hallmark traits of financial security is understanding when to spend money and when to look for alternatives. This can also be applied to trying to live a healthier lifestyle. If you do not want to spend on gym memberships, you can always create an exercise program using your bodyweight. You can also take up running and start going around your block. You can always add more routes when you start building up your strength and endurance. Try to visit your local park as well to find out what free classes you can join. You can also meet like-minded people who can help motivate you as you make positive changes with your health. Another great thing you can do when you want to save with food expenses is grow your own food. You can assess the space you have and what you can grow with that space. You are even assured of the quality of your meal ingredients. It is tough to get started in staying healthy to attain financial security but repetition creates habit which will help you stick to your plans. Make a commitment to stay healthy, be smart with your choices and stick to them to see results.